My name is Sarah Graham and I was born with a bilateral cleft lip and palate- all of my surgeries were held at CHOP. Being born with a facial anomaly has allowed me to have an openness and be more emphatic to others. As a little girl I dreamed of walking back into CHOP as a nurse and not a patient. After hard work, I was able to fulfill that goal. Being a part of Philly Phaces has given me a purpose- I strive to help other families and children have a sense of hope; to guide them; and encourage them that "differences" are what makes us stand out from within. Hello. My name is Connor. I am 17 years old and a senior in high school. I have a craniofacial anomaly called Golden-Har Syndrome. I am a big brother of a 2 year old and the best friend to both my maniac of a dog and Daniel. If you are a parent or a child with an anomaly, I implore you to try and find friends in “our community”. Not just us obviously but to have and know someone who’s been through so much as we all have... it’s revolutionary. I have known Daniel for close to 14 years give or take. We met at Hershey Park for retreat and over the years have become great friends. It’s probably one of the greatest things that have come out of my difference and life. While being a person with a different appearance may be scary, it’s also amazing. To be able to tell others your story or to help someone who is new to the scene, it changes perspectives. It has hard and scary times, but to get to the point where you become okay where you stand or look it means that you’ve learned a great deal. You learned to embrace your difference, to cherish who you know, and to accept others no matter how different they are. If you asked me how did you get here or how hard was it knowing you were different? I’d smile and say, I learned. I accepted. You can’t control everything. In order for life to be enjoyable you need to accept there are variables. Always remember; you’re life is what you make it to be. You get to choose how to live your life, no one person can make that choice for you. My name is Dan Pfeiffer. I was born with Saethre-Chotzen syndrome. I have had many surgeries during my lifetime all at CHOP. Currently I am a freshman at Stevens Institute of Technology studying Mechanical engineering. I have always persevered and overcome the challenges life has thrown at me in order to find myself. People often ask if I would be happier if I were born “normal." My answer to them is always no since I would not be the person I am today. Philly Phaces allows me to share in the experience of building the local community we have right here at CHOP. I have been very fortunate to be able to build a support system of friends that have been on the same journey as me or is a sibling of someone that has. I would love to be able to do the same for the new families starting their journey and Philly Phaces will be able to provide these opportunities. Hello, my name is Lidia Sliwka and I am 33yrs old. I live with my wonderful husband Jon and we have two cats Milo and Leo. I am also an assistant Pre-K counts teacher at Special People In Northeast. I was born with Treacher Collins Syndrome, and I had so many operations at CHOP and UPENN. Growing up with a rare medical condition was tough physically and emotionally. But I always had a great support system from family and friends. However, I wish I knew more people like me living in Pa/ Philadelphia. Which is why I just love Philly Phaces. Philly Phaces is for all ages to connect on social media, attend fun events, and just share our life experiences. Even though I am older and confident of myself, I still love giving advice to families. I am always here to guide the younger ones through their life journey if they ever need me! Without Philly Phaces we would not be able to help someone who really needs the support. Hi my name is Jessica Barbalaci. I am 23 years old. I was born with a unilateral cleft lip and palate. I have had 9 surgeries over 21 years of my life. They have all been done at CHOP. I love being a part of Philly Phaces. Being a part of Philly Phaces is rewarding for me because I can help the younger children feel less afraid when they are having surgery or if they just need a buddy to talk to. Philly Phaces has given me life long friends and an opportunity to give back. Hello, my name is Lisa Wilcox. I am currently 22 years old and I am a student studying Radiologic Sciences. I was born with craniosynostosis, frontonasal dysplasia and hypertelorism. Much of my childhood was spent in and out of hospitals having reconstructive surgeries. After being introduced to this organization, I immediately knew I wanted to be involved. 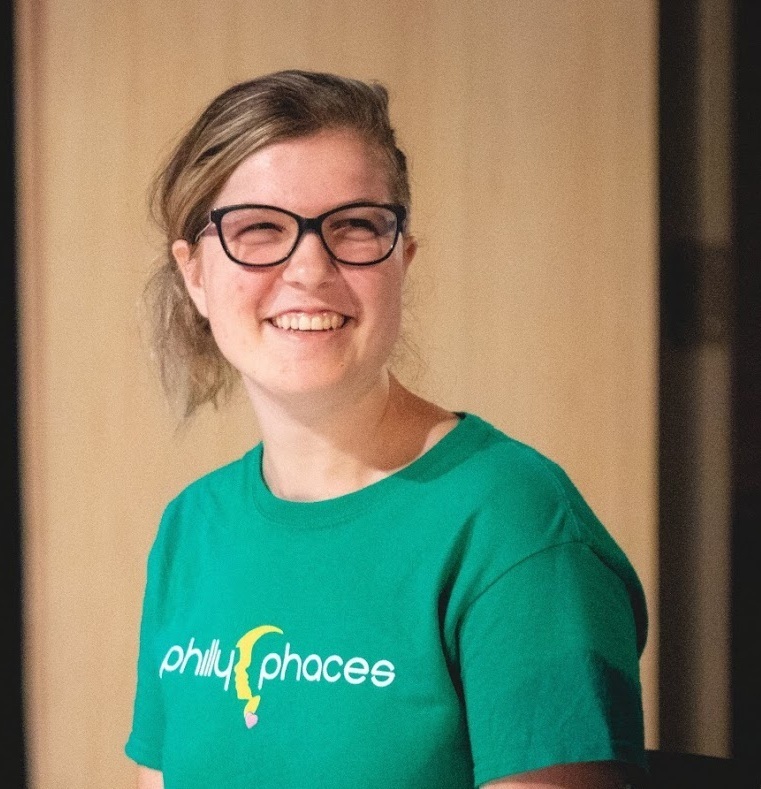 Philly Phaces is the perfect place to meet people of similar backgrounds and enjoy the company that it brings, all while having a support system. I want to help anyone in a similar situation that I was in because I know first hand how overwhelming it can be. I was fortunate enough to have so many people help me get through my surgeries and I want nothing more than to give that help to someone else. Every person is unique and beautiful in their own way and I strive to make that known to each individual that I come across. Hello. My name is Brendon, I am 30 years old and live in Philadelphia with my wife Katy and dogs Winston and Libby. I am a senior manager of strategy and business development at Children's Hospital of Philadelphia, former White House intern, and graduate of the University of Pennsylvania and University of California Berkeley School of Law. 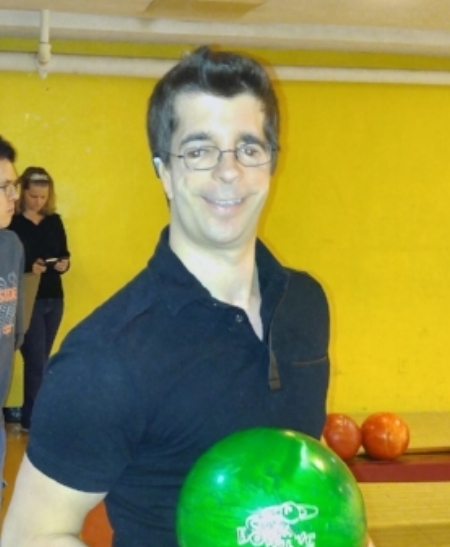 I also have Treacher Collins syndrome, which affects one out of every 50,000 births, and have undergone 25 facial reconstructive surgeries as a result. I am passionate about sharing my experiences and knowledge with those with craniofacial anomalies, their families, and others. I hit the parental lottery, having two of the coolest, wisest, and supportive parents anyone could ask for. With their guidance and a positive attitude, life’s obstacles didn’t seem quite so big. With the benefit of hindsight, I now realize that looking “different” has its advantages and can be a very special thing. I am always available to speak with those both in and outside the craniofacial community. Philly Phaces is a recognized 501(c)(3) nonprofit organization. All donations are tax-deductible in accordance with IRS regulations.